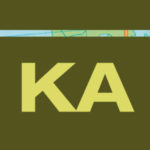 Twenty-three days, three lodges, and one country. 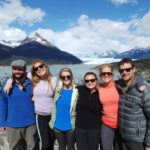 This group explored iconic extremes in Chile this past January spending time in both the Atacama desert and Patagonia. 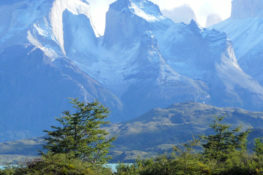 Their custom trip to Chile also included visits to Santiago, vibrant Valparaiso, Easter Island and more. In an e-mail shortly after her trip Jean exclaimed, “this was one of our best trips ever,” and after seeing their photos and reading through their itinerary again, I whole-heartedly believe that! They experienced almost every region in Chile. 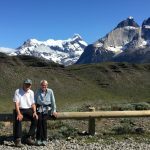 The McCalla group hiked in Patagonia, tasted exquisite wines in the Casablanca Valley, explored Easter Island, star gazed in the Atacama Desert and marveled at street art in Valparaiso. 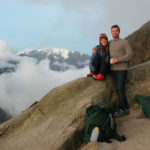 Read through their full custom trip to Chile and see more photos below, you will not regret it! You will take an overnight flight from Canada arriving to Santiago the following morning. Upon your early morning arrival you will be met at the airport by a Knowmad Adventures representative and taken to your boutique Santiago Hotel. After breakfast, you will enjoy a half-day privately guided exploration of the city. Your bilingual guide will lead you on a tour featuring Santiago’s most important historic and cultural sites. Highlights include: the Plaza de Armas, La Moneda Presidential Palace, the Mercado Central (Chile’s largest fresh seafood market), the historic República & Concha y Toro neighborhoods, eclectic Barrio Lastarria, Parque Forestal, and artsy Barrio Bellavista. For a panoramic view of the city, you’ll visit the top of San Cristobal Hill, 984 feet above the city. You’ll also have the chance to visit the famous La Chascona Museum, former home to beloved poet and Nobel Laureate Pablo Neruda. Following your exploration you’ll be taken to your hotel and enjoy the rest of your day at your leisure. You will be picked up at your hotel in accordance with your early morning flight from Santiago to Easter Island, where you will begin your next adventure. 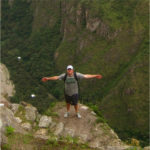 After arrival you will be met by an Explora representative and taken to your beautiful lodge. 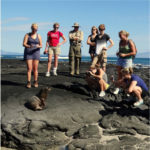 While at Explora Easter Island you will be able to choose from a wide range of adventurous excursions, as well as enjoying gourmet food and a range of wines and alcohol as part of your adventure inclusive package. For more information on excursions please see the supplementary information from the lodge. Continue enjoying your adventures throughout the region and your stay at Explora Easter Island. After enjoying your morning at Explora you will be taken to the airport in accordance with your onward flight to Santiago. Upon arrival you will be responsible for walking across the street to the airport hotel (most flights will arrive in evening). After breakfast you will head to the airport to check in for your onward flight to Calama. After arrival in Calama you will be met by an Explora representative and taken for the approximately 1 hour drive to their lodge. While at Explora Atacama you will be able to choose from a wide range of adventurous excursions, as well as enjoying gourmet food and a range of wines and alcohol as part of their adventure inclusive package. For more information on excursions please see the supplementary information from the lodge. Continue enjoying your adventures throughout the region and your stay at Explora Atacama. After enjoying your morning at Explora you will be taken to the airport in accordance with your onward flight to Santiago. Upon arrival to Santiago you will be met by a Knowmad representative and taken to your beautiful hotel accommodations in Valparaiso. You will enjoy a full-day excursion of Valparaíso, which is a must see for any visitor to Chile. A UNESCO World Heritage site and one of the first Chilean cities founded by the Spanish, Valparaíso was the most important Pacific South American seaport for centuries until the inauguration of the Panama Canal. In its Golden Age, the city was a thriving hub of high society, culture, and European influence. Today, those historic elements are mixed with quirky, bohemian cafes, artists’ workshops, and street art to create a city full of character and with surprises at every turn. You will explore the historic downtown sector, and then century-old hillside ascensores (elevators) will transport you up into the city’s steep hills, where a labyrinthine maze of streets reveals brightly colored buildings, hidden cafes and elegant restaurants, and spectacular views of the harbor below. Your exploration also includes a stop in the resort city of Viña del Mar, known as “the garden city” for its lush gardens and palm-lined boulevards. After exploring town a bit you will be transferred back to your accommodations. Enjoy the day at your leisure to relax and stroll the beaches of Vina or to further explore Valparaiso independently. Your guide will meet you at your hotel following breakfast to head for the renowned Casablanca Valley. Chile’s move toward cool-climate viticulture began 25 years ago when innovative winemakers dared to suggest planting in the pre-coastal Casablanca region. The valley is now world-famous for its technology and commitment to terroir, producing some of Chile’s best white wines and cool- climate reds.Your first visit will be to Loma Larga vineyards. Named “Winery of the Year 2011” by Wine & Spirits magazine, Loma Larga continues to represent the best of the Casablanca Valley. Loma Larga sets the bar for quality cold- climate red wines with several award winners and consistent 90+ point ratings by such prestigious publications as Robert Parker’s Wine Advocate. You will enjoy a tour and private tasting of Loma Larga’s distinctive wines. After your tour and tasting, we will head to HOUSE Casa del Vino for a special food and wine pairing lunch comprised of three courses, each served with a glass of wine specially selected to accompany the flavors of the dish. After lunch you will visit Viñedos Organicos Emiliana. A true leader in the concepts of biodynamic and organic agriculture, Emiliana aims to create the highest quality wines while promoting sustainability and social responsibility. Emiliana’s wine portfolio is backed by major national and international awards and recognition, and its wineries are certified Fair Trade and Carbon Neutral. Following the days activities you will be brought to the airport hotel in Santiago. You will fly early in the morning to Patagonia, where you will begin your next adventure. After arrival you will be met by an Explora representative and taken on the scenic drive through Puerto Natales and onward into the national park. While at Explora Patagonia you will be able to choose from a wide range of adventurous excursions, as well as enjoying gourmet food and a range of wines and alcohol as part of their adventure inclusive package. For more information on excursions please see the supplementary information from the lodge. 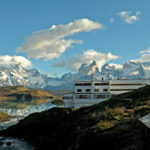 Continue enjoying your adventures throughout the region and your stay at Explora Patagonia. After enjoying your morning at Explora you will be taken to the airport in accordance with your onward flight to Santiago. Upon your arrival you will be taken to your hotel accommodations in Santiago. Enjoy the day at your leisure to explore Santiago independently before being transferred to the airport in accordance with you late evening flight home. We are always happy to talk travel. 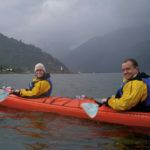 If you want to get started on creating your very own custom trip to Chile or a trip to a different destination in South America, don’t hesitate to give us a call at 612-315-2894, e-mail travel@knowmadadventures, fill out a Design Your Trip From, or explore the Knowmad Adventures website.